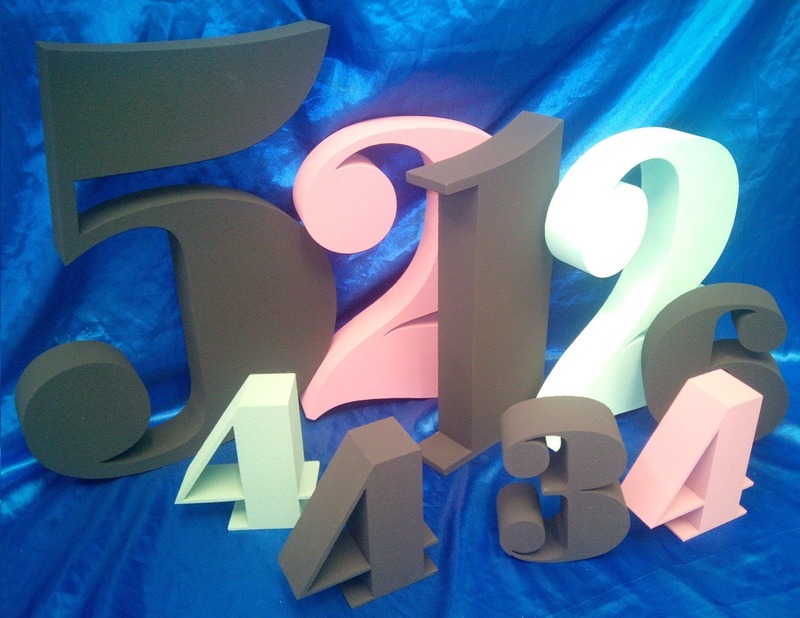 Polystyrene numbers can be cut to almost any size and font you require. We can supply these numbers as a natural white expanded polystyrene or with a suitable finish. Large numbers are ideal for photo shoots or props. They can be used to advertise a brand or display a target that has been reached. The larger numbers are cut from high density expanded polystyrene which is lightweight but economical compared to other materials. Large polystyrene numbers create an impressive visual appearance when being used for photographic advertising. As you can see from a selection of images below they can be plain or custom painted such as the union jack numbers. As an alternative to the large expanded polystyrene we can cut numbers from a harder smoother material called styrofoam. This material is an extruded polystyrene which has a superior finish to expanded polystyrene. Styrofoam is cut from sheets rather than blocks and therefore is used mainly for smaller numbers.